You might not realize how much you depend on natural gas. From our hot water heaters to gas stovetops, natural gas is everywhere. And as gas lines tend to be buried below the surface of the ground, it’s easy to forget they’re there. That is until you smell the tell-tale rotten egg scent of a gas leak. But what do you do if you suspect there is a gas leak on your property? Here are the actions you’re going to want to take. First, exit the immediate area where you smell gas. Natural gas is both colorless and odorless. But that rotten egg smell is added to help you identify it—because natural gas leaks can potentially be very dangerous and lead to an explosion. So before you do anything, including calling your local utility company, get yourself and your family a safe distance away from the suspected gas leak. Do not touch light switches, unplug appliances, or do anything else that could create a spark. Second, you’ll want to call your local utility company and, potentially, 911. In most cases your local utility company will be able to shut off the gas and stop the leak. They may also be able to identify where the leak is coming from. Don’t know the number of your local utility company? Be sure to store it in your phone’s contacts so you don’t waste precious time looking it up during an emergency. Also, depending on the size of the leak, your local police and fire stations may get involved as they assist people in exiting the area. Third, wait for the area to be cleared before entering your home. Your utility company or your local police or fire departments will be the ones to give the all-clear. This will only happen once the source of the leak has been identified and, if necessary, resolved. 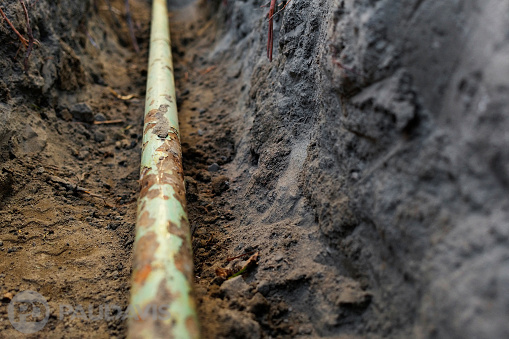 In some cases you may need to call a private natural gas company to fix gas leaks for you, as your utility company may not be allowed to do so. However, your utility company should let you know. Once the leak has been fixed, you’ll likely be allowed back inside your property. Gas leaks are dangerous. They can lead to harmful outcomes if you’re not careful. So if you smell a gas leak, be sure not ignore it as so many people do. Instead, call the professionals and exit the area. Following these directions could save your life.